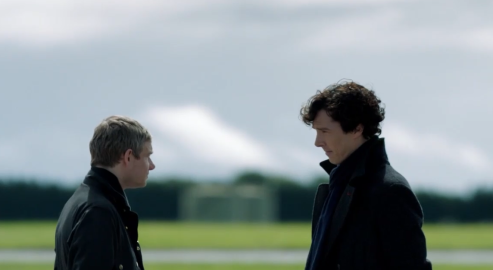 On January 12, Sherlock’s season 3 finale, “His Last Vow,” aired for fans in the UK, and what a finale it was [insert optional sarcasm]. I’ve had a few days to collect my thoughts, which were (and still are) rather jumbled, partially because I had a rather difficult time following the episode’s story line, but also simply because a lot happened, both in terms of character and plot developments. Be warned that the following contains spoilers, so if you haven’t yet seen “His Last Vow”, I highly suggest you come back to read this after you’ve seen the episode. “His Last Vow” formally introduced the villain Charles Augustus Magnussen (played by Lars Mikkelsen, the elder brother of a certain famous cannibal). I didn’t entirely comprehend his motives, but the creepy factor was there, even if most of it was shock value. Still, I felt as if Magnussen was a step down from Andrew Scott’s brilliant portrayal of Moriarty (which is apparently how the show’s creators felt as well). I was both excited and irked at the end of the episode, the latter mostly caused by a lack of creativity on the writers’ part, if said plot twist turns out to be true. Personally, I am not convinced that Moriarty is back, but I am hoping that we get to finally see some of Sebastian Moran in action (and hence a return to canonical references, which were distinctly lacking this series). Yes, Andrew, we did. But wait…why did season 2 exist again? Let’s be real, this was hands down one of the best scenes in the entire series. But while the character of Sherlock Holmes has seen significant development this season, I am no longer certain if the same can be said for that of John Watson. As a Watson cosplayer, and hence one who has spent many an hour studying the dear doctor, I was confused about his actions, particularly in this last episode. His loyalty to Sherlock is unwavering, and rightly so, but after finding that his wife is some kind of assassin with a mysterious past (can’t say this did much for me), one would think he would be more hesitant to accept her with no strings attached. Unless, of course, John Watson is playing everyone and ends up being smarter than we all think he is, but I’m not sure Moffat is capable of achieving that kind of depth in his writing. Don’t get me wrong—Martin Freeman’s acting is spot on and “His Last Vow” was one of his best performances in the series to date. But his character’s integrity has been on shaky ground these past few weeks, and we unfortunately won’t know how this will play out until Sherlock’s next season, for which a date is not currently set. 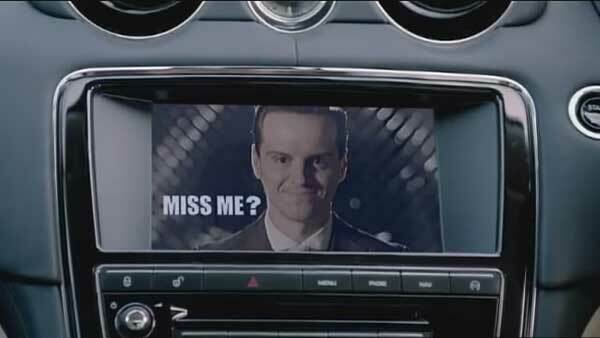 The writing of Sherlock in general this season has been…questionable (not unlike recent episodes of Doctor Who). The pacing in “His Last Vow” in particular was whacked, and even though I pride myself in being able to follow and analyze complex story lines, I was lost for about half of this episode. Writing a complicated story is one thing, but convoluting it past the point of recognition and throwing nonsensical solutions at one’s audience is quite another, and one that is rapidly becoming Moffat’s signature technique. Long story short, Moffat needs to get off his high horse, and the BBC might want to take a moment to shift their view from numbers to the growing negative murmurs of its fanbase. As the saying goes, check yourself before you wreck yourself (though it may already too late for that). It will be interesting to see how his writing develops (or declines) and whether or not the BBC will confront him about it (which at this point is a likely and unfortunate no, seeing as he is giving the broadcasting company record-breaking viewer statistics). 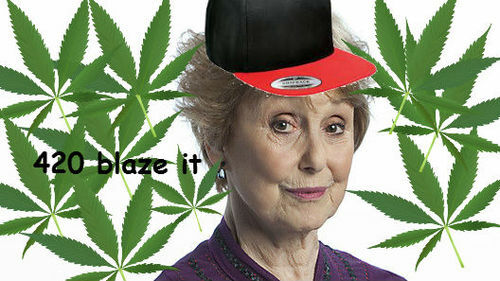 Are we just going to pretend that we didn’t find out that Mrs. Hudson’s weak spot is weed? But did these things ruin this season? I wouldn’t say so; there are a lot of great things to celebrate, and I for one will definitely be giving all three episodes another watch soon. While it had its flaws, here’s to another stellar (albeit short-lived) season of Sherlock, and to another two years of hiatus in which Sherlock fans will undoubtedly dissect every shot, line of dialogue, and facial expression while impatiently waiting for season four. But of course, they wouldn’t be able to call themselves Sherlockians if they didn’t. But worry not, seasons 4 and 5 of Sherlock have been confirmed by the show’s creators, so rest assured that there is plenty of Sherlock to come…eventually. 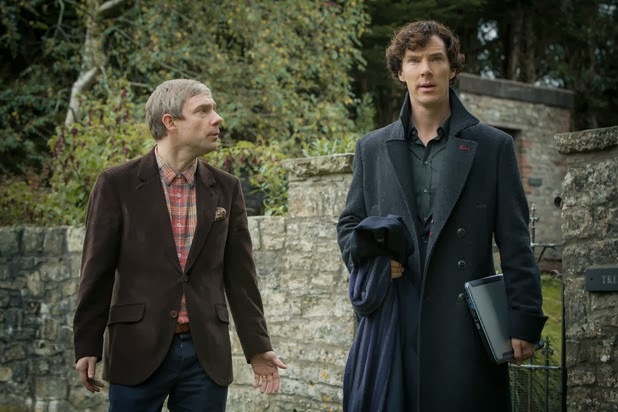 Series 3 will begin broadcasting in the US on January 19 on PBS. Thought it wol’ndut to give it a shot. I was right.